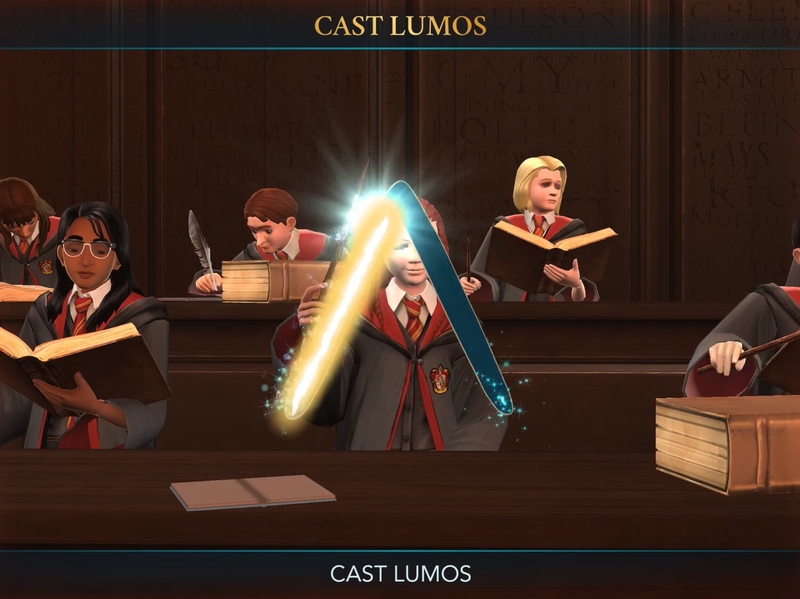 I admittedly didn’t have very high hopes for Jam City’s Harry Potter: Hogwarts Mystery, knowing it’s free-to-play game with plenty of micro transactions. 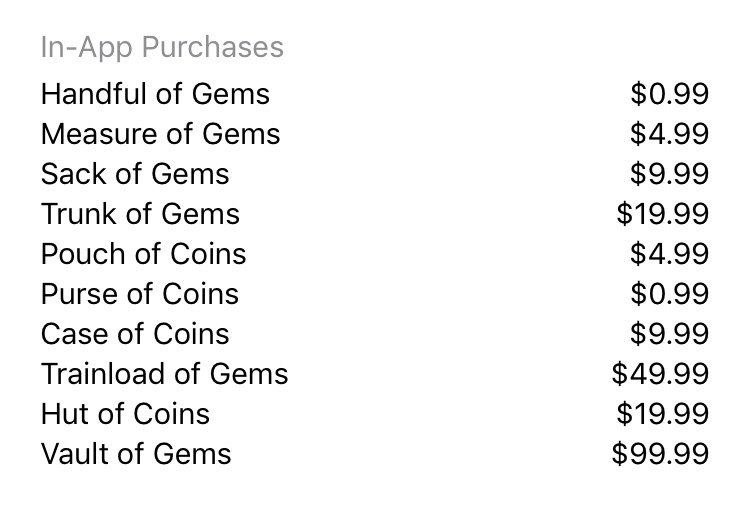 Just by seeing how many in-app purchases (IAPs) the game already sold, I could tell it would be a problem. But part of me — the Harry Potter fan part — was still hoping that a juggernaut like Warner Bros.’ massively popular series could deliver a halfway decent game, considering the money behind it. Unfortunately, the game is first off so lacking of any gameplay that I don’t know why it wasn’t just a visual novel. Oh wait, scratch that. I know why. It’s so they could load it with energy systems and gems and force kids to stop right in middle of a battle against some living plant monster so they’ll beg their parents for money to continue. Because if you don’t pay, you have to close the game and come back later to finish that battle. 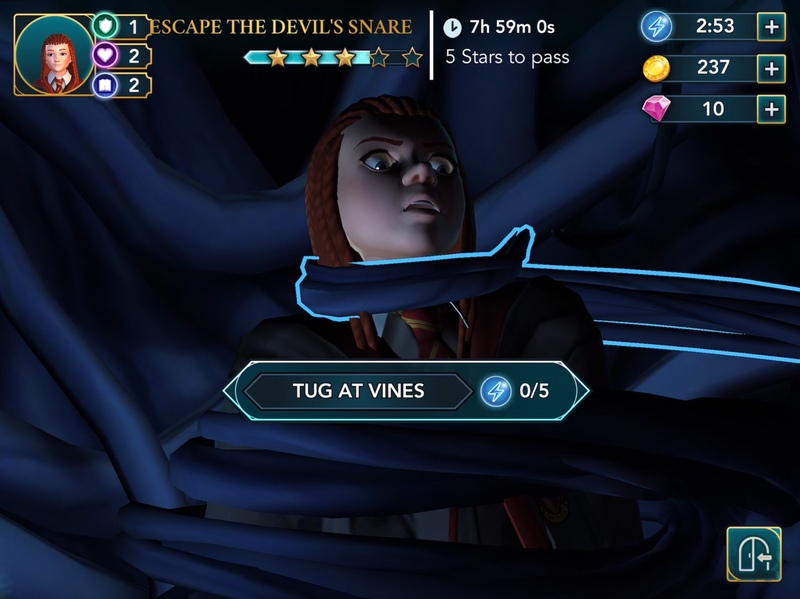 You need five stars to escape the Devil’s Snare, and the game only provides you with enough energy to get three stars. The good thing about all this is that I wasn’t too heartbroken to have to shut the game. It just wasn’t all that interesting. In the twenty-five minutes I spent with it, I mostly read dialogue, made a few choices, and tapped glowing things to earn coins. Tapping things uses energy, so you can see why you’d run out before long. Besides tapping, I got to trace a couple of basic symbols with my finger to cast a spell, and one QTE (quick time event) while making a potion. 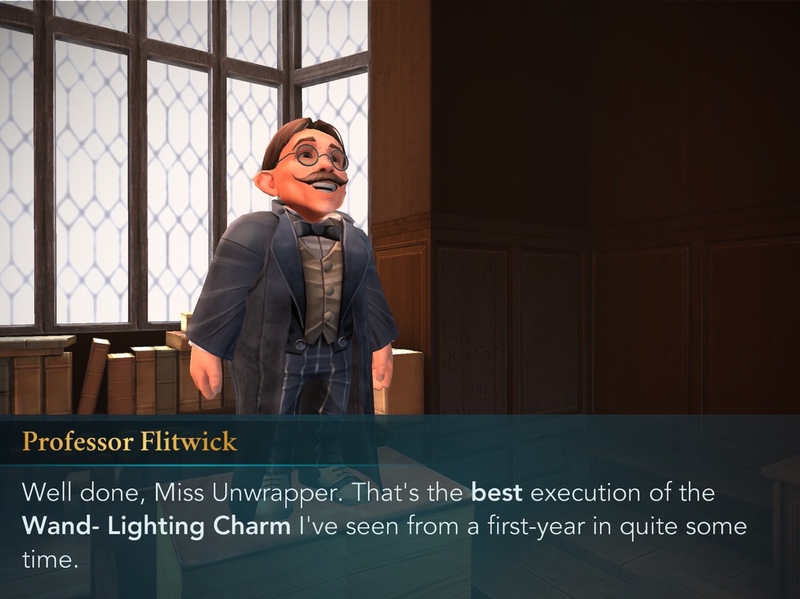 The game also strokes my ego after every action with words like BRILLIANT flashed across the screen, or Professor Flitwick telling me I traced an upside-down V better than any other first-year student he’s seen in a long time. I’m sure I believe him. It’s possible there’s a decent story underneath all this rubbish, but I’m not willing to deal with all the mindless tapping and godawful timers and currencies to get to it. Maybe if you’re a bigger Harry Potter fan than I am, you’ll be willing to put up with all the nonsense to experience life as a student at Hogwarts. If not, you can just watch my gameplay video below to see what you’re missing. Notice that there isn’t even voice acting to pull you into the story. They couldn’t even be bothered to grab some snippets from the movies to make it a bit more immersive. The result was that I rushed through most of the dialogue. But again, at least I don’t have to feel bad about missing out on a great experience because I won’t pay for energy. Dark Meadow is on sale just in time for Halloween. This looks bloody awful. Thanks for taking one for the team. I still can’t believe they wasted the Harry Potter franchise on this. Indeed, what a shame that they ruined such a high potential game.